When high-speed Internet first became widely available in The Bahamas in 2000, the full impact of the global information technology (IT) industry was only just beginning to be felt across the archipelago. Now high-speed broadband, cutting-edge mobile connectivity and access to the latest technology are helping the jurisdiction boost its economy and make it easier to do business. Thanks to a number of significant developments in the industry this year, The Bahamas can now compete not only with its regional neighbours, but also in the global arena. The Bahamas is now ahead of some parts of Europe in terms of its mobile connectivity, according to Bahamas Telecommunications Company (BTC) chief executive office Geoff Houston, who launched the company’s high-speed 4G LTE (long-term evolution) network in February this year. The new service makes wireless communication up to five times faster, allowing for more efficient online sharing, streaming, downloading and uploading. It is currently available on New Providence, Grand Bahama, Abaco and Eleuthera, with plans to introduce it throughout the archipelago over the coming months. Broadband users are also benefiting from higher speeds, as BTC continues to roll out its $53 million next generation network, which delivers speeds of up to 8MB per second. Accessibility to high-speed Internet is vital to a country’s economic future, according to the World Bank, which calculates that a 10 per cent increase in broadband availability translates into a 1.38 per cent growth in gross domestic product (GDP). Cloud computing allows users to outsource their computer processes and store data remotely, resulting in lower operational and maintenance costs. Cloud computing specialists Cloud Carib were the first to bring the service to market in The Bahamas in 2012 and say business is booming with the Grand Lucayan resort in Freeport and Freeport Harbour Co among their new clients. Market analyst IDC predicts that the public IT cloud services market will be worth more than $107 billion in 2017, making it one of the fastest growing segments of the global IT sector. In The Bahamas, consumers are cautious, but slowly embracing the technology, according to Xeroudakis, who adds that clients are often swayed by the efficiency gains they can make simply by switching from an in-house IT department to the cloud. For Xeroudakis, one of the biggest buzzwords in the industry today is IT consumerism or BYOD (bring your own device), where professionals bring their own portable devices into the workplace. Staying connected in this way is especially important in an archipelago such as The Bahamas, adds Xeroudakis, where professionals often have to travel between islands for business. 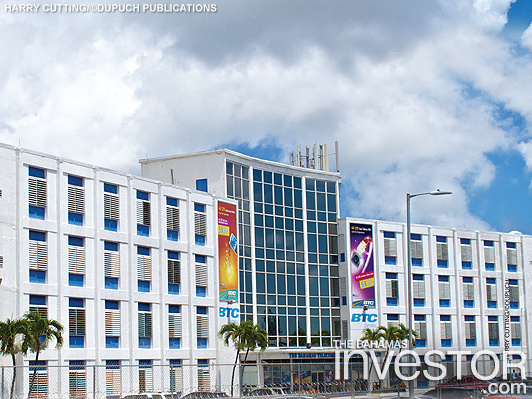 It is not just business that stands to benefit from a more modern IT sector in The Bahamas. Over the past year, the government has been working to bring several key public sector services online in a bid to streamline administration, create more efficient processes and cut costs and waiting times. Users of the $10.2-million government online portal, which was launched in 2011, can now carry out a number of services over the Internet, such as incorporating and dissolving companies, processing deeds and documents, renewing driver’s licences, paying property tax and traffic fines and obtaining business licenses. The portal has now been classified by the United Nations as being at the third stage of Online Service Development—meaning it can perform financial transactions and allows for two-way communications—and it received a 100 per cent rating in the international organization’s e-government survey in 2012. The government continues to invest in the initiative and intends to bring more functions online in the near term. Additional services in the pipeline include work permit applications and post box rental fees. It is hoped that these advances will improve The Bahamas’ ease of doing business and encourage economic growth. “The Bahamas’ economic pillars of tourism and banking and financial services are under fierce competition from our Caribbean sister countries. I want to underscore the significance of super-fast broadband and the importance of The Bahamas being ahead of the curve,” said Minister of National Security Dr Bernard Nottage at the launch of BTC’s 4G LTE service in February. A key part of being ahead of the curve is developing local talent to ensure the sector’s long-term sustainability. Synergy Bahamas, which delivers training programmes accredited by the Ministry of Education, welcomes around 1,000 students each year and director of training Devon Leslie says there is no shortage of homegrown talent taking advantage of its “skill intensive and hands on” courses. Leslie, and his co-director Ritchie, are optimistic about the future, with the latter saying: “We have very talented professionals. I cannot think of any IT projects that you would not be able to find qualified professionals for locally. Leslie agrees and says that one of Synergy’s top priorities is to deliver training in line with global technological advances so that The Bahamas does not lag behind. “We want to stay on top of the changes that are coming,” he says. “We want to be on the cutting edge and stay current.